We arrived in Villars on Saturday since we had the opportunity to fore run a race on Sunday morning. As it turned out, the race was a Swiss schools children's GS race with a pretty tight set and a run time of around 30 seconds. Unfortunate weather conditions meant that Monday's slalom gate training was cancelled but we had a great day of powder skiing which was fun. On Tuesday we managed to get a little gate training on the race hill which was great. 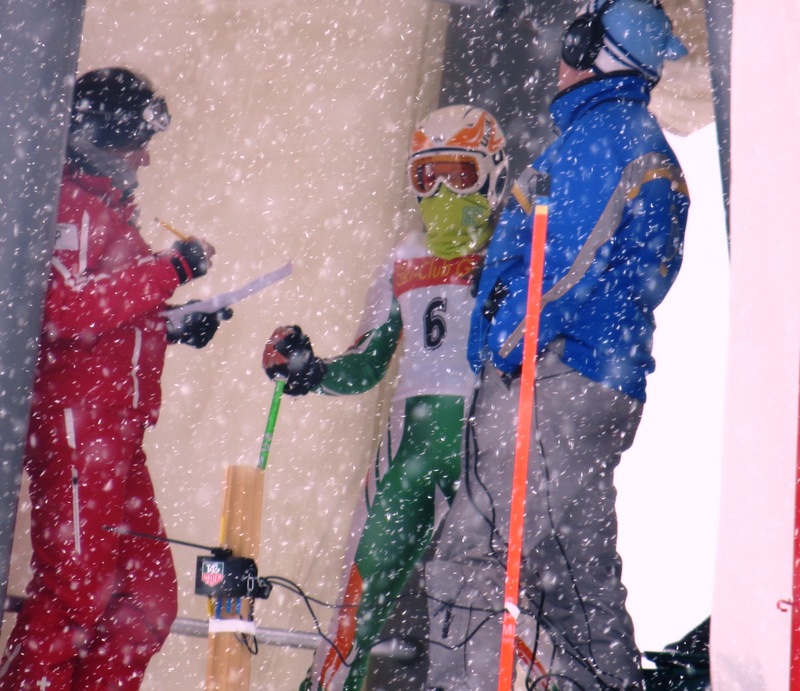 The conditions were really good and, coming from a short break, I felt in good physical condition. The first GS race was on Wednesday, despite snow overnight. After a few slip runs, the organisers managed to start the first run on time. I felt I had skied a good clean first run and I was pretty happy with it although I thought it could have been more aggressive and faster. I made a lot more mistakes in the second run and I was pretty disappointed with my overall time. Heavy snowfall had been anticipated for the next day so they had planned to delay a decision about which discipline to run until the morning. After preparing two sets of race skis the night before, the race was cancelled! It did, however, mean a bit more powder skiing! For Friday, the new plan was to aim to run two slalom races, to make up for the lost race. After getting late in the top section of the first run, I abandoned course. They stormed through the first race, meaning I did not have long to wait for the second. My first run was very pleasing and I was really positive for second run, although it was a difficult set. Unfortunately I went in with an overly straight line and got very late on the top section. This cost me too much time and so my second run time was not what I had hoped for. The races could have gone better but there was undoubtedly positives to be taken, particularly with my technique.